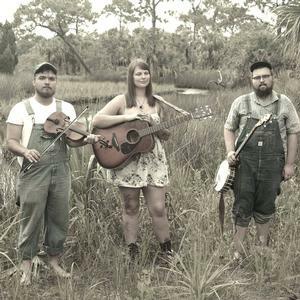 The Stillhouse Shakers are a String Band based in the Tampa Bay area. They strive to authentically represent the music of America's past while blending their own unique styles into a high-energy show, filled with history, hilarity and a wide variety of Fiddle Tunes, Folk Songs, Blues, Ballads and Breakdowns. The band is comprised of three young, award-winning musicians who come from all over the country. Tyler Nall from Florida, on Fiddle, Camden Pugh from Tennessee on Banjo, and Holly Foss, from Minnesota on Guitar. The three long time friends formed the band in 2015, and since then they have relentlessly performed their music at festivals, farms, bars, breweries, weddings and many other venues throughout Florida as well as many other states throughout the Southeast.